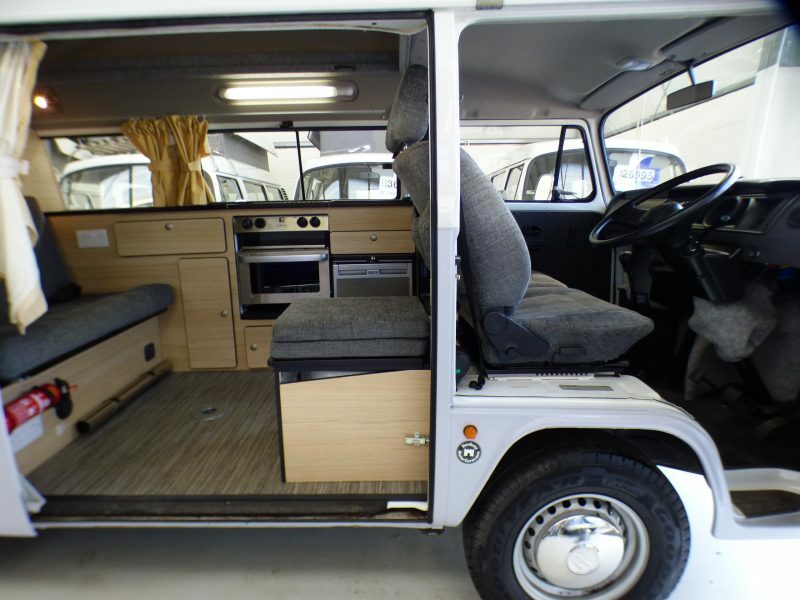 Direct drive power steering, oven upgrade, night heater, tow bar, spare wheel to rear of camper, roof rack, latest style interior unit, captains chair, buddy seat, front heater and 240v hook. Great spec with low miles and the very desirable direct drive rack and pinion steering! 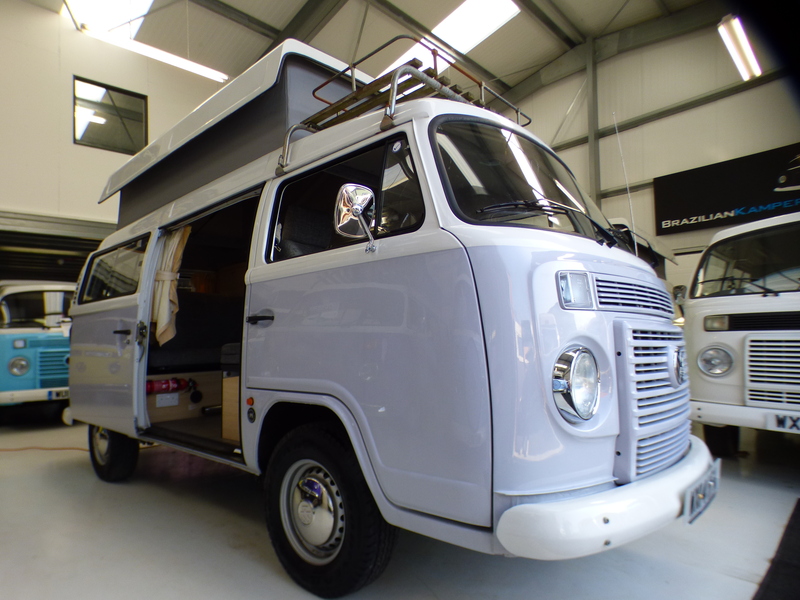 2014 Right Hand Drive Danbury Rio, 4 berths with pop top roof, modern water-cooled engine providing reliability but still retaining classic looks and the very desirable direct drive power steering system. 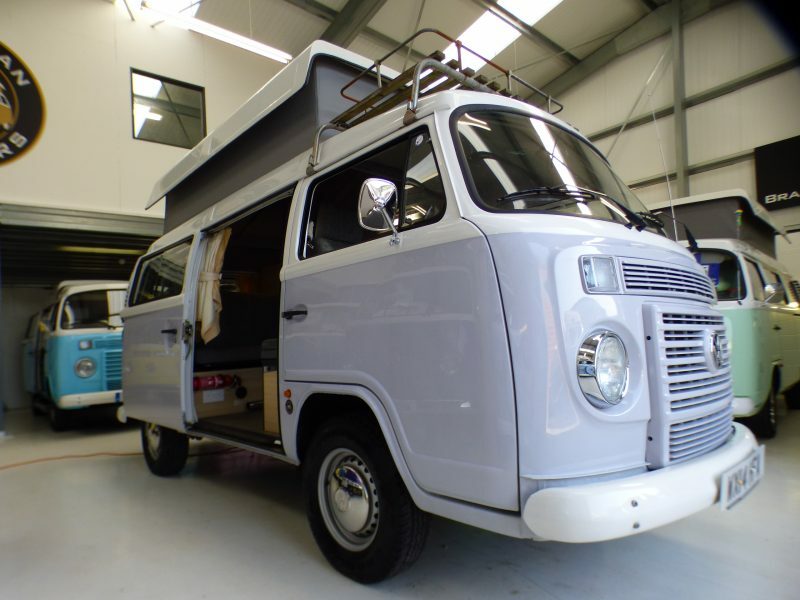 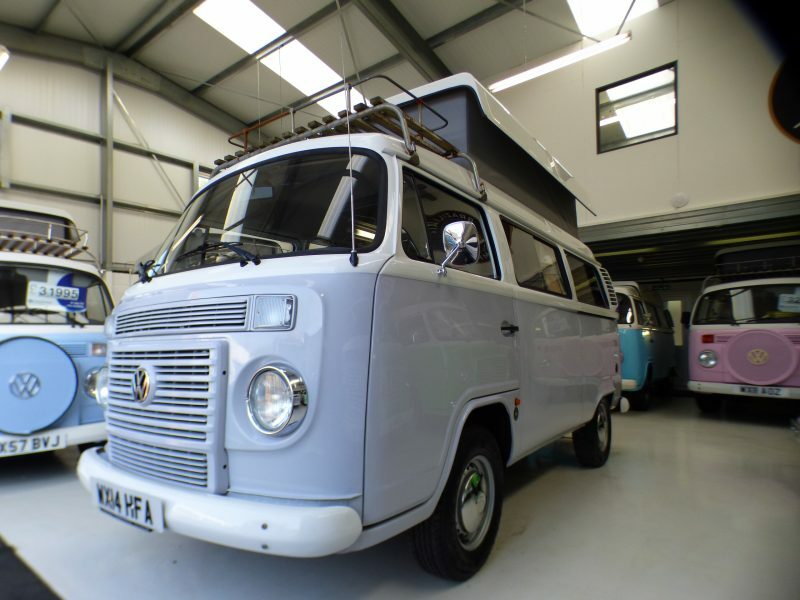 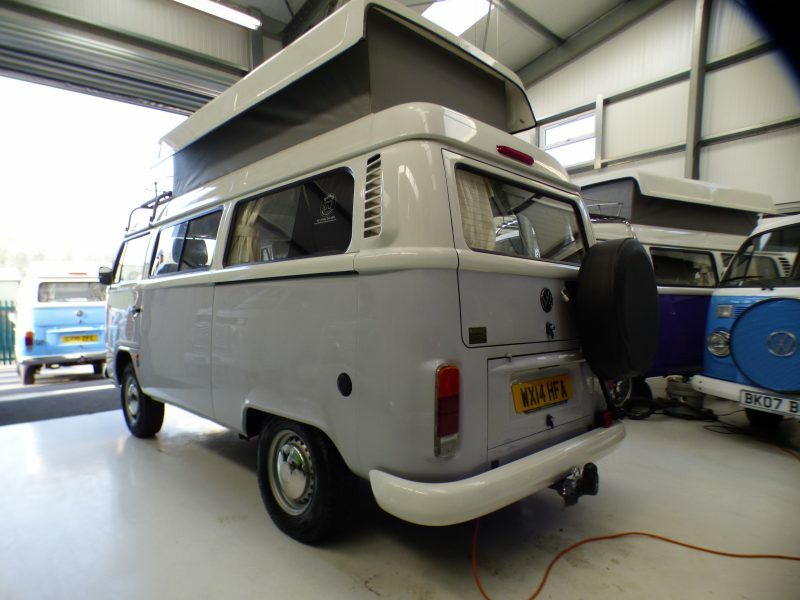 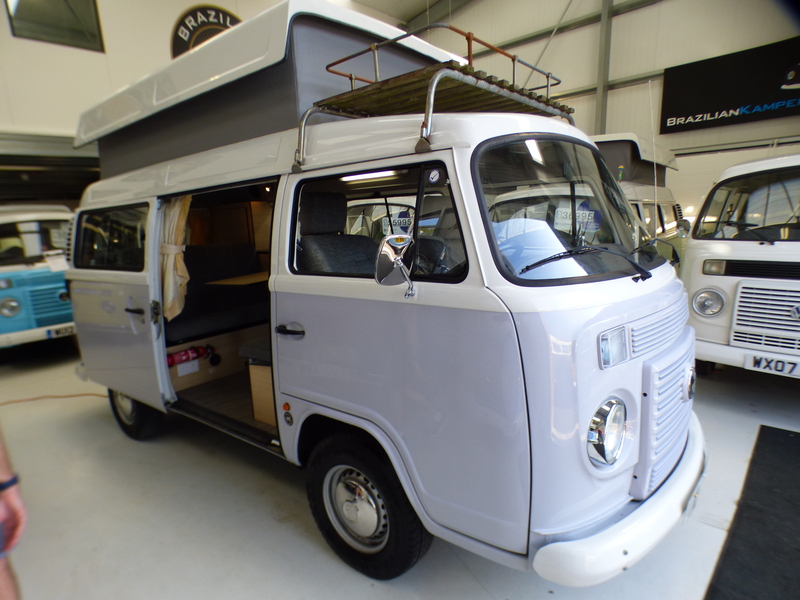 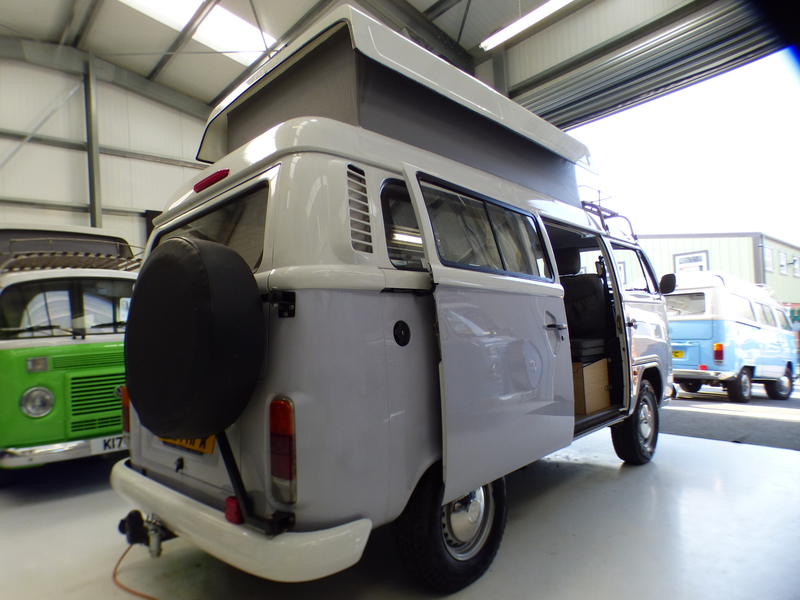 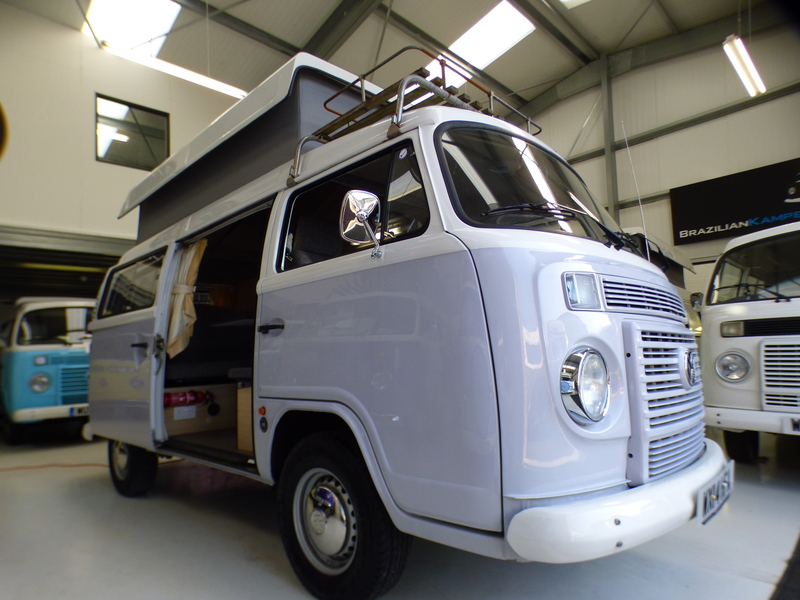 Exterior: Pastel Grey and white paintwork, chrome mirrors, hubs caps, clear indicators, pop top roof with upper bed board and mattress making it 4 berths, plus front stainless steel roof rack. 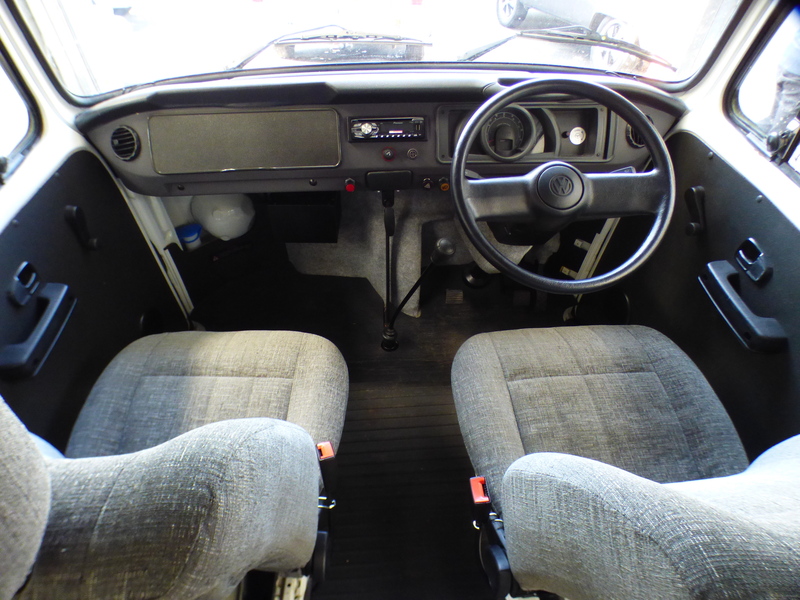 Interior: Latest style interior units, these were only produced by Danbury in the last few years. 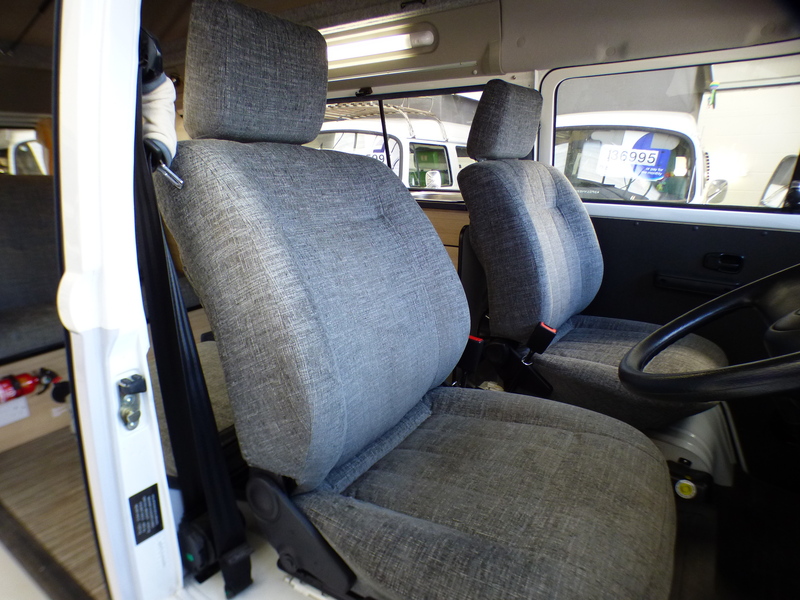 The units are full length providing plenty of storage with the very handy buddy seat that can house a port porti. 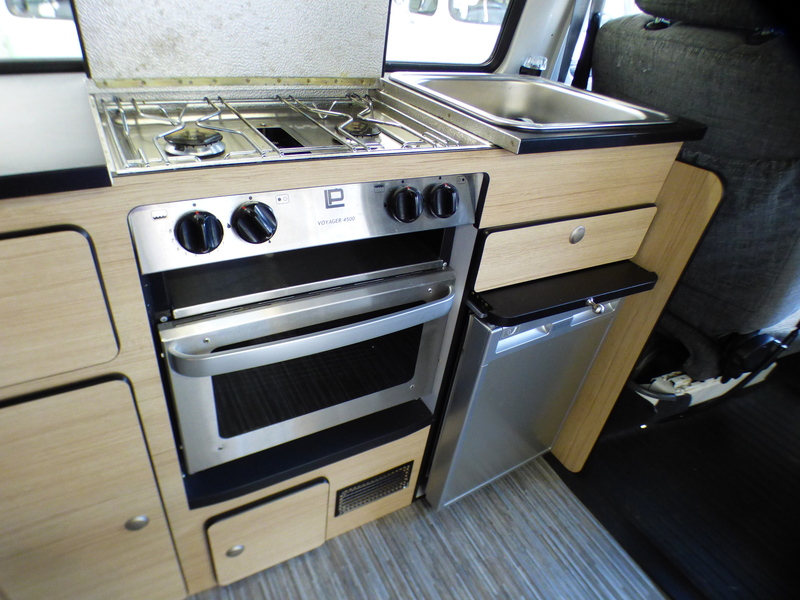 The units include a compressor fridge, sink with pumped water, oven , grill and double hob. 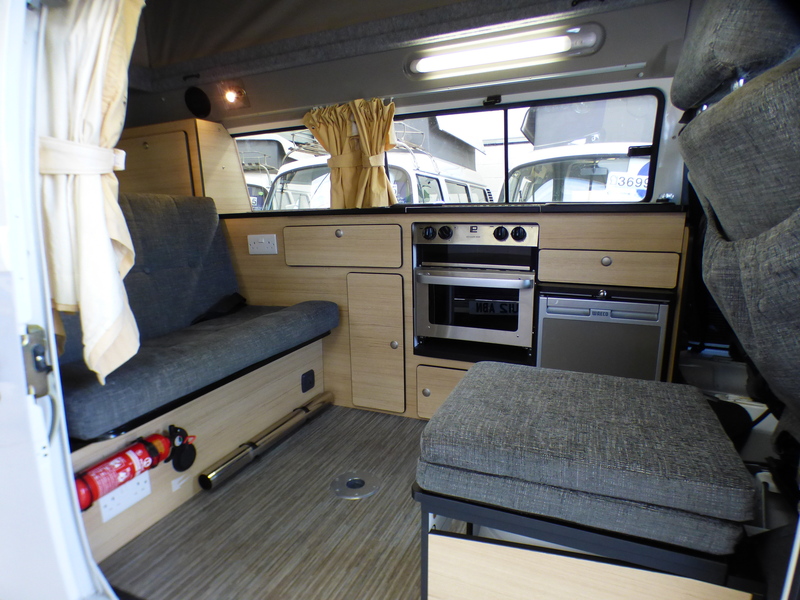 With modern electrics you have spotlights, reading light, 240v hook up with plug sockets, leisure battery with hook up system, front and rear heated windscreens, front heating system, rear heating system, CD/ Radio with 4 speakers. 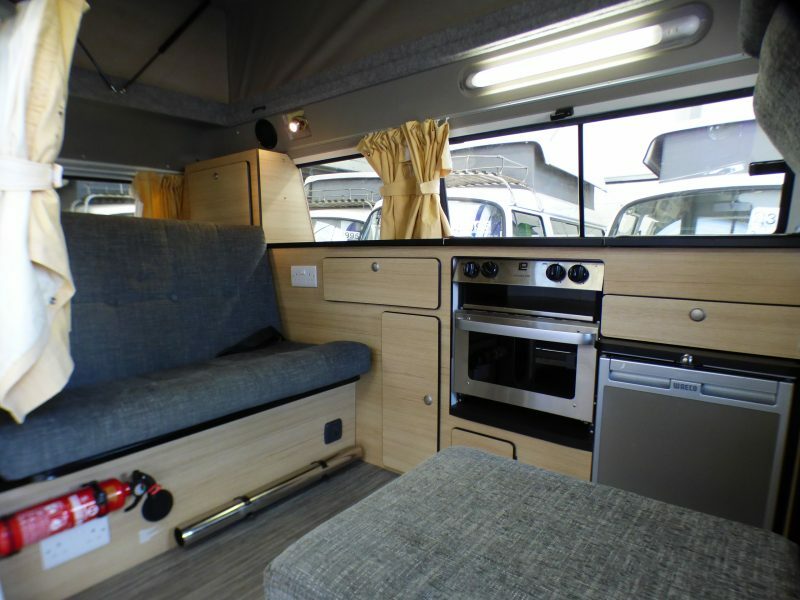 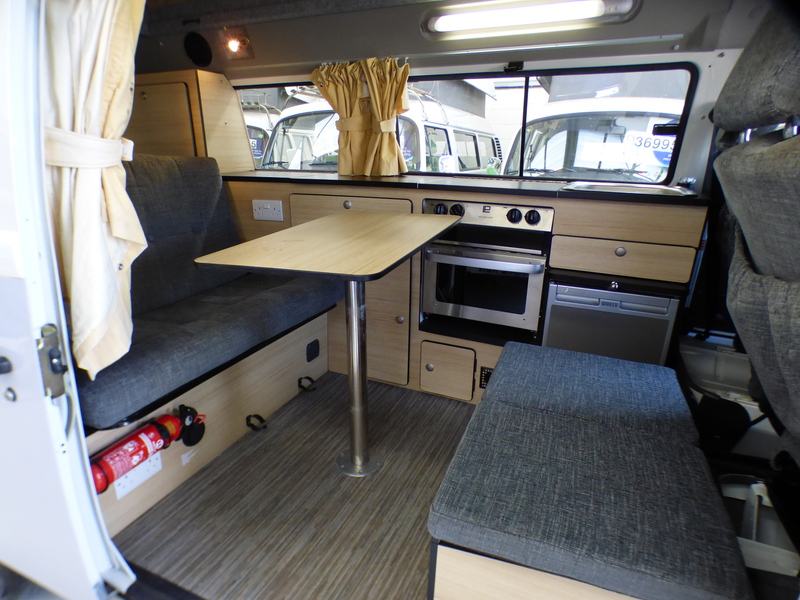 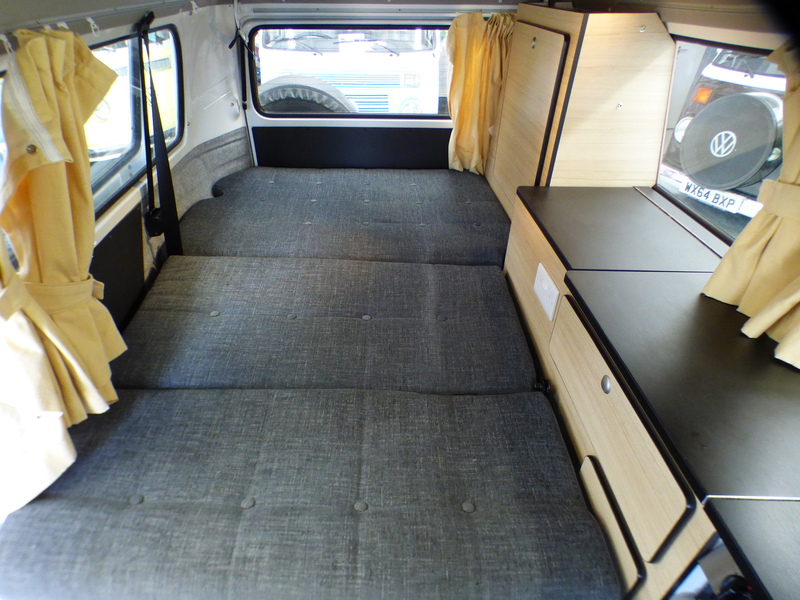 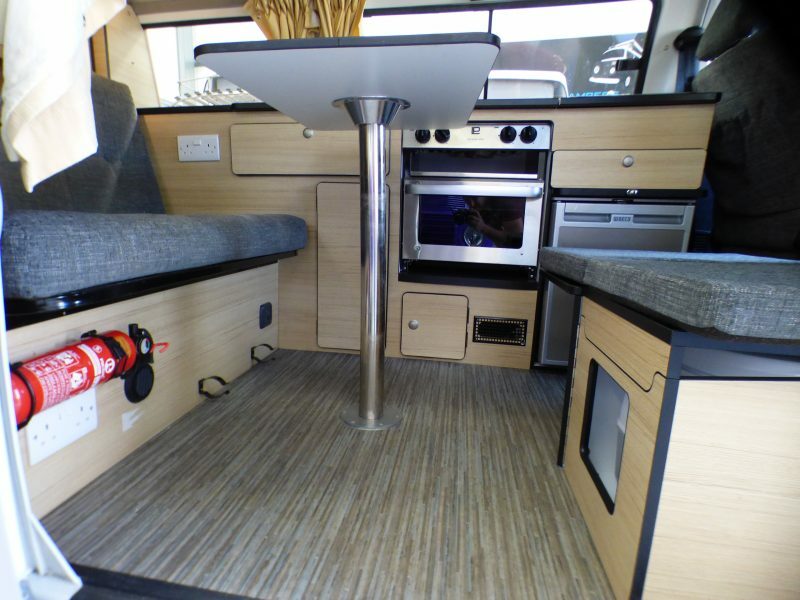 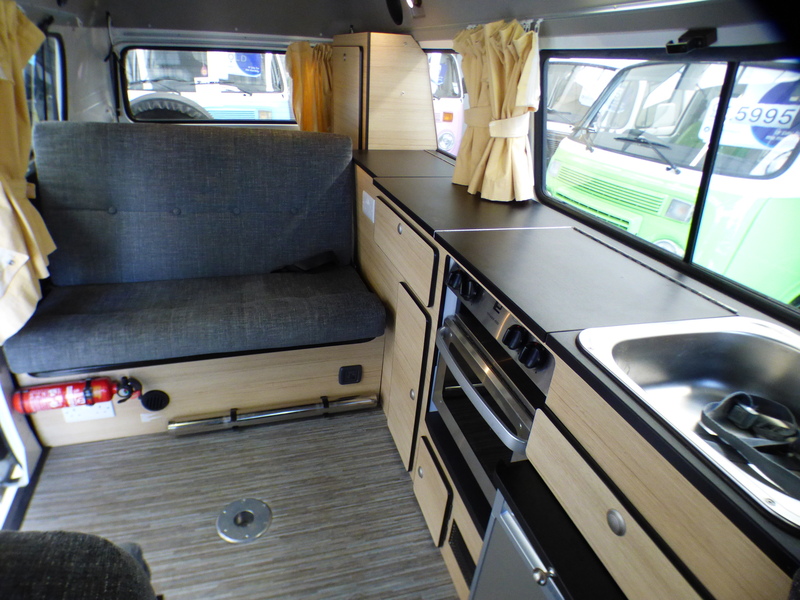 The upholstery matches the paintwork lovely and really sets the camper off against the wood finish units. 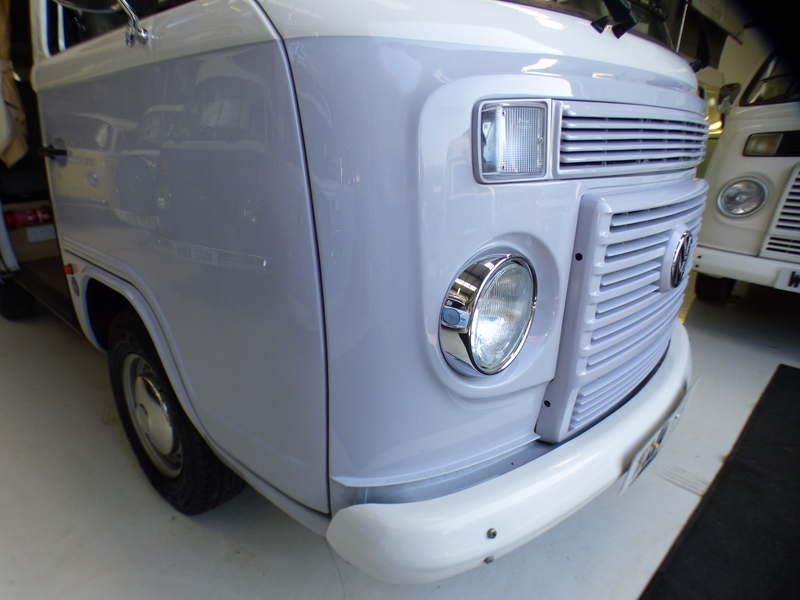 Mechanics, Underside wax oil prevents rust and keeps in good shape for years to come, full service history and 1 owner from new. 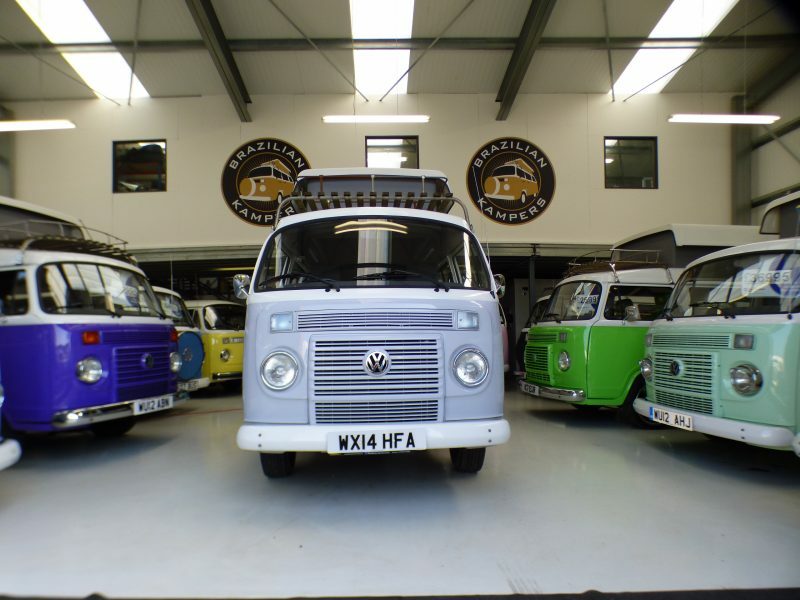 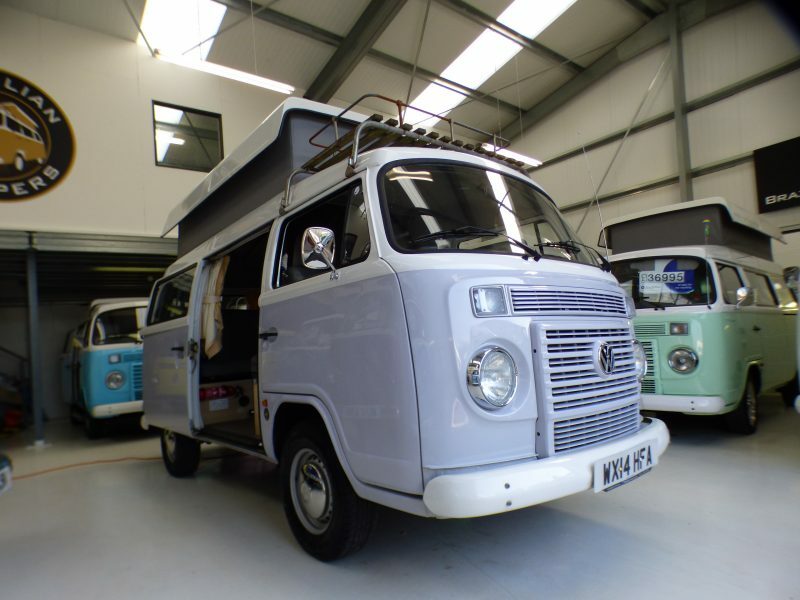 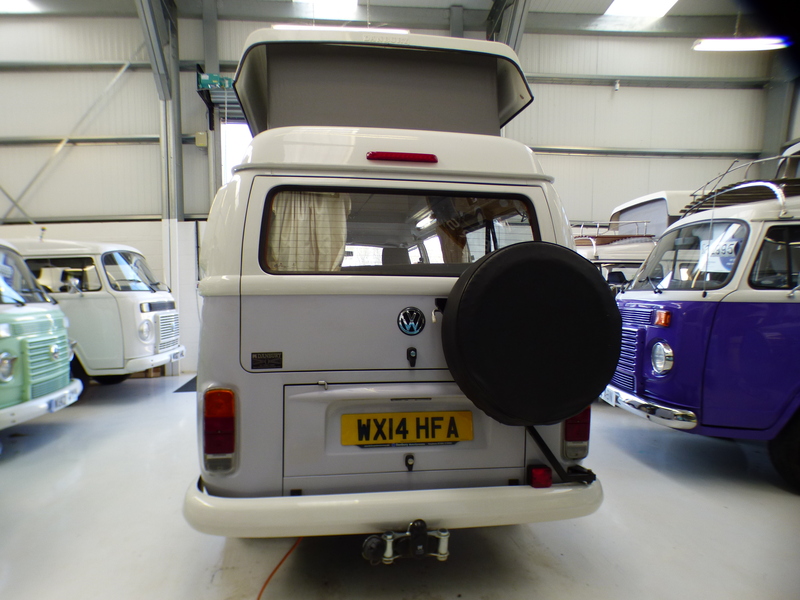 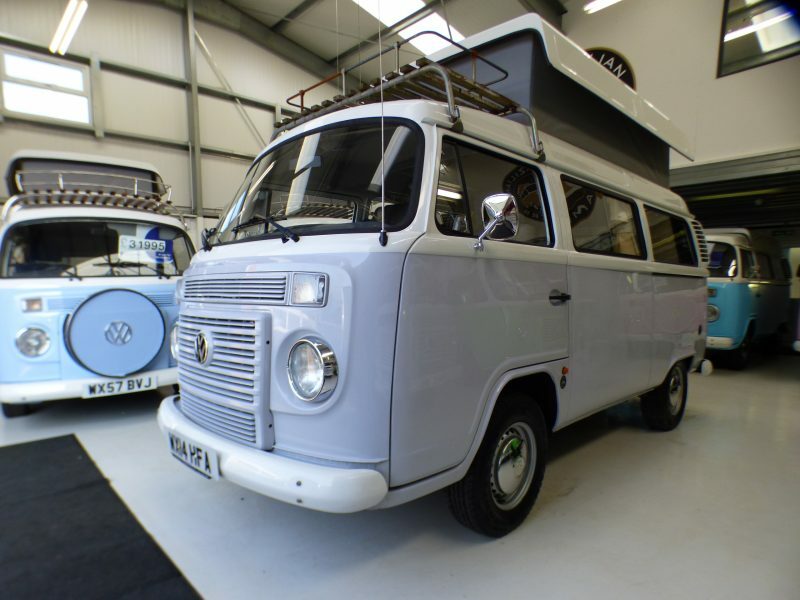 This camper has 1 owner from new and a full-service history and will be sold with a 12 month MOT, full major service, professional valet and pre-delivery inspection.